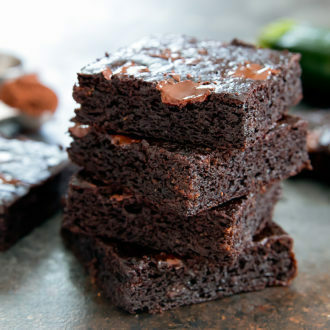 These flourless zucchini brownies are fudgy and chocolatey. They are also gluten free, grain-free, and paleo. It’s an easy one bowl recipe and a great way to use up zucchini. 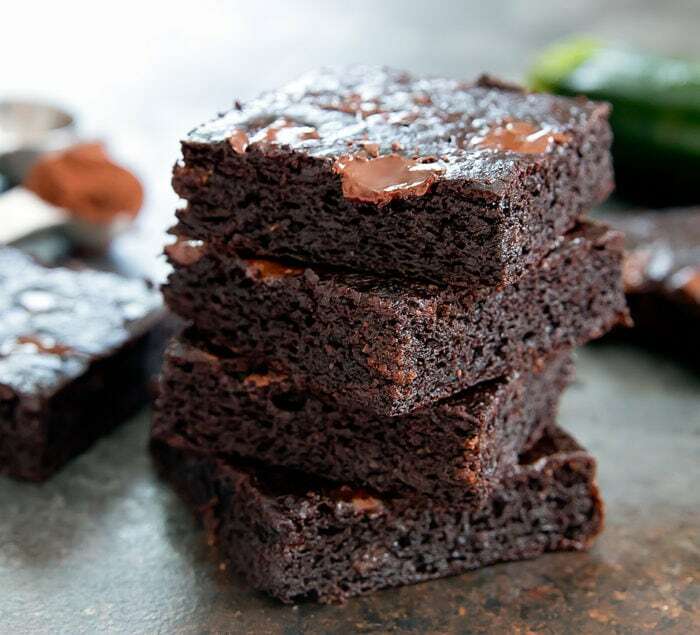 A few weeks ago, I shared a recipe for zucchini brownies. 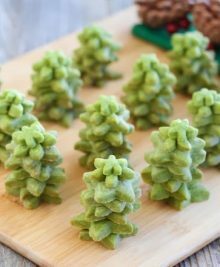 It’s one of my favorite new recipes and I’ve made them several times already for friends and family. After sharing that recipe, I received several requests for a flourless version, so I went back into the kitchen to do some research. I had to sacrifice a few jars of almond butter while testing these, but I think it was worth it. Me: We are out of meal prep meals. Did you make yourself a sandwich for lunch? Me: What did you make? Him: I made one with acorn butter. I only used the crunchy one since I know you use the smooth kind for baking. Me: Uh… you mean almond butter? Him: Is that what this is? Okay sure. Back to a little more about these brownies. These brownies are not chewy but they are very chocolatey and fudgy. The chocolate flavor is even more intense the next day. 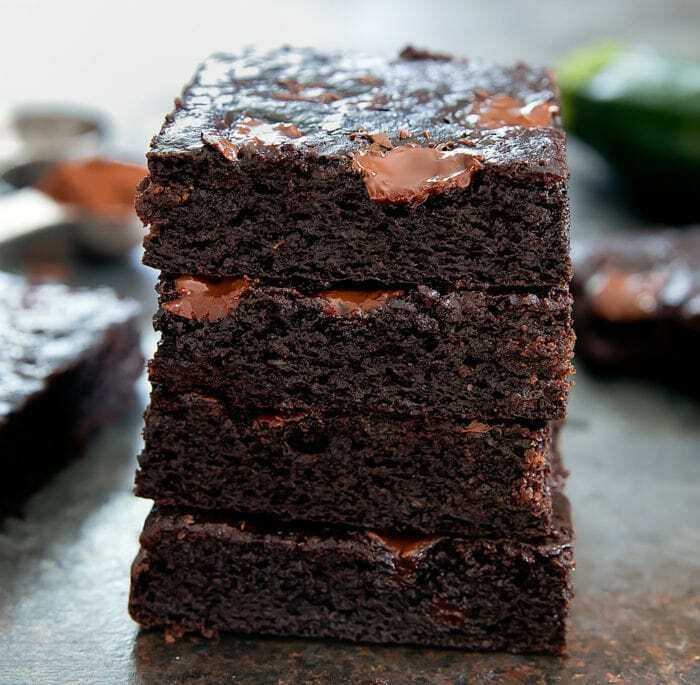 One of the key ingredients to these brownies working without flour is using almond butter. Make sure to use the creamy, natural almond butter– the kind you need to stir before using, because the thicker processed almond butter may be too dry for this batter. Almond butter is a magical baking ingredient, when mixed with eggs and a rising agent and baked, it can rise and have a cake-like structure. You will want to shred the zucchini using the small holes on the grater because you want very thin shreds. First, the thin shreds will almost disappear into the brownies once cooked. 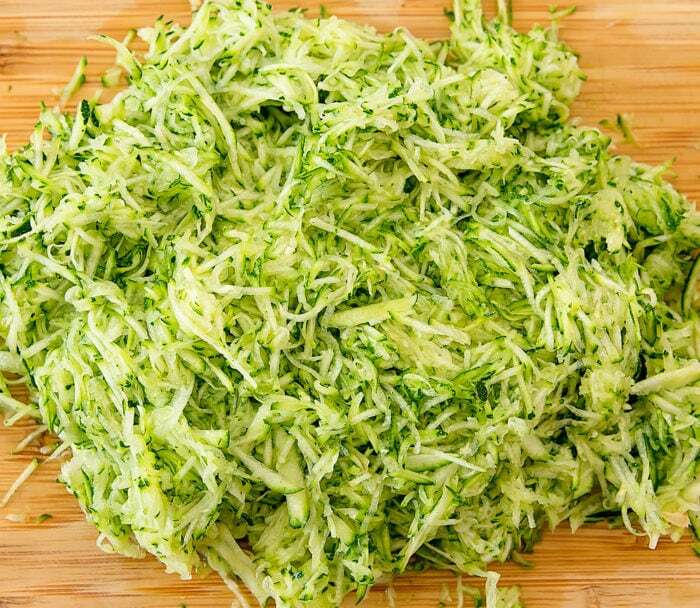 Second, if you choose to make thinner shreds, your zucchini will be more moist, which is needed to get the batter to the right consistency. 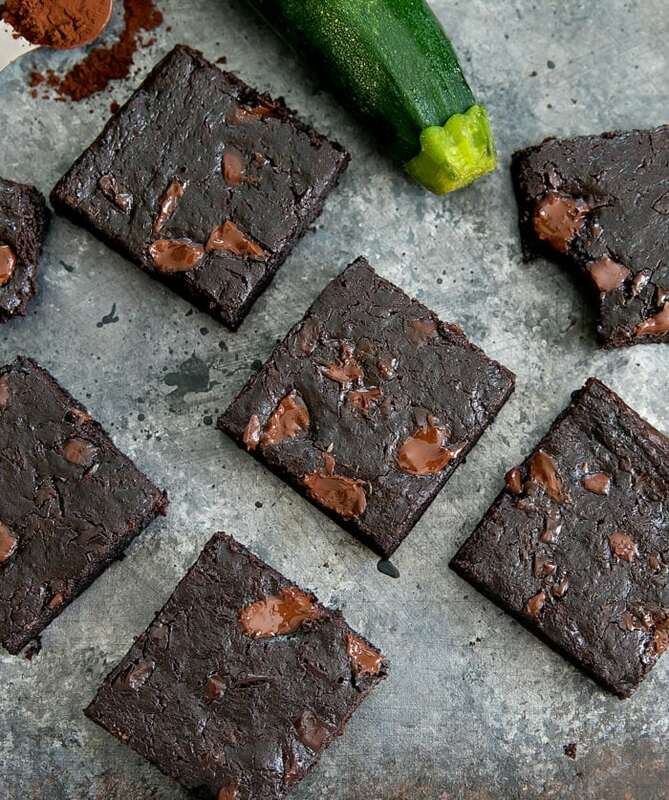 A grain free, gluten free, and paleo version of zucchini brownies. These brownies are fudgy and chocolatey and easy to make. Preheat oven to 350°F. Line a 9 inch by 9 inch baking pan with parchment paper. In a large bowl, combine almond butter, banana, egg, honey, cocoa powder, vanilla and baking soda. Mix batter until it is evenly combined. Batter will be quite dry. Stir in the zucchini. As you continue to stir, the zucchini will release some water and you should see the batter becoming more liquid. Stir until batter is evenly mixed and no longer dry and it becomes a thick liquid batter. Stir in ½ cup chocolate. Pour batter into prepared pan. Sprinkle surface with remaining ½ cup chocolate. Bake in the oven for about 30 minutes or until toothpick inserted comes out clean. Allow brownies to cool before cutting and serving. Make sure to use creamy, natural almond butter. Avoid using the thick, processed almond butter. You will want to shred the zucchini using the small holes on the grater because you want very thin shreds. When I finished shredding my zucchini, it was very moist, but it did not have any pools of released water. If for some reason you are dealing with a very watery zucchini, drain out that released liquid before adding the zucchini to the batter. You want the moisture from the zucchini, but not any pools of water. I can’t wait to try this recipe. They look delicious. Heh, I could do a weekly column on all the amusing things my husband says. Glad you found it funny too! Just made this recipe exactly as written (though I did bake it in a cast iron skillet, rather than a pan). It turned out amazing! Very fudgey and gooey. The brownies taste quite a bit like banana, but that didn’t bother me. They taste like eating really moist chocolate-y banana bread brownies. 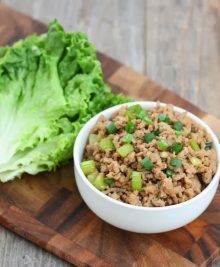 I love how healthy and easy this was to make, and I think you could do a lot of variations (I might try swirling some PB on top or adding nuts next time!) Thanks for this great recipe. I’m so glad this worked out for you!